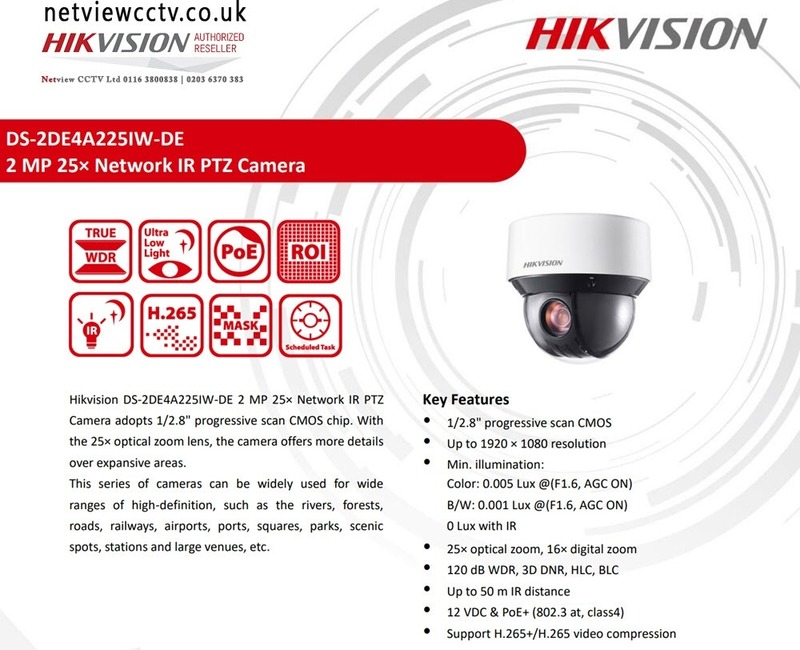 Hikvision DS-2DE4A225IW-DE Network IR PTZ Cameras adopt 1/2.8" progressive scan CMOS chip. With the 25x optical zoom lens, the camera offers more details over expansive areas. 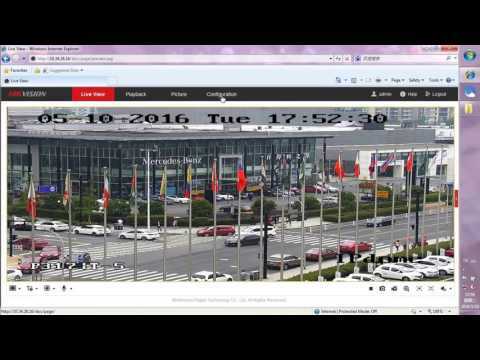 This series of cameras can be widely used for wide ranges of high-definition, such as the rivers, forests, roads, railways, airports, ports, squares, parks, scenic spots, stations and large venues, etc. Auto Tracking: The DS-2DE4A225IW-DE PTZ camera features smart tracking which enables the camera to detect any progressively moving object and follow it within the camera’s area of coverage without fault. This feature makes the DS-2DE4225IW-DE an ideal solution for environments where tracking and zooming are paramount (such as airports, highways, stadiums, and scenic sites). ROI encoding: | Main stream, sub-stream and third stream respectively support two fixed areas.